Alexander’s Restaurant is a hidden jewel in the heart of Naples. Chef Alexander Bernard has been serving his distinctive cuisine to Neapolitans and visitors from around the world for more than 23 years, and has an avid following. His innovative, farm to table organic dishes reflect his annual California sabbaticals and his traditional European training. 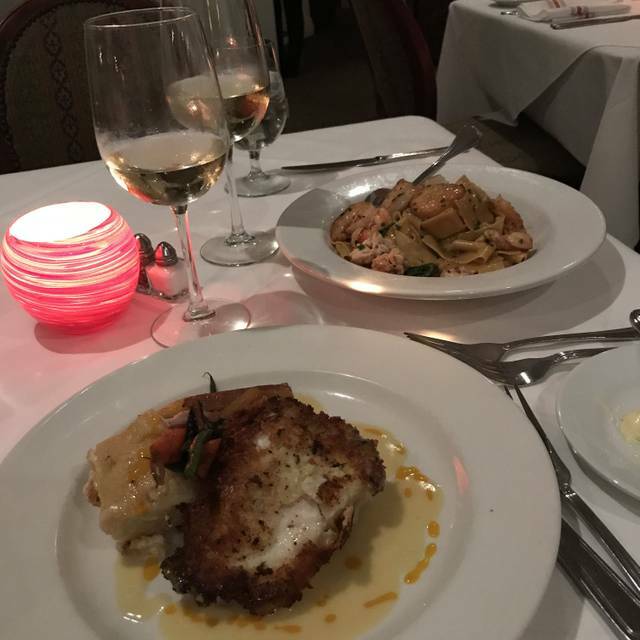 The Johnson & Wales graduate is known for menu favorites such phyllo-wrapped fried shrimp, macadamia nut crusted grouper, and seafood risotto with chunks of Maine lobster, scallops and shrimp. Classics such as crispy duck with lingon berries, veal tenderloin and Steak Au Poivre share the page with pasta and vegetarian dishes. Seasonal healthful menus and Chef Alex’s sell-out cooking classes enhance the culinary offerings. A European-style dining room and award-winning garden patio accommodate diners for lunch and dinner from September through May. We had a lovely meal, however, our group was one of the first seated for lunch, and an hour later we still did not have our food. Every other table was served before we were. We asked our waiter why, but he had no answer for us. No one ordered anything unusual, or that was not on the menu. First time at Alexander's, but not the last. We were a group of 10 - all enjoyed our food. We were seated near the bar so it was almost like a private room. Conversation was easy. The menu is varied and the food is very good. Excellent service. We will return. Outside seating has a wonderful ambiance. I especially like that..even with a party of 8..you can hear everyone. Always wonderful food and service. Excellent ambience,food, and service. Great time! Alexanders is a quiet -somewhat overlooked-lovely casual restaurant in Naples. Inside or outside are both good choices for seating. The food never disappoints and there are gluten-free and/or vegetarian choices. Shrimp and calamari appetizers both excellent. All four entrees also very good. Will need to return on a nice day to enjoy the lovely outdoor dining area. Well-prepared, fresh, tasty food served in a quiet garden (if you sit outdoors). Reminded us of dining in Italy. Steak was too well done. Ordered medium rare. Was medium. Great indoor and outdoor dining. Service made you feel like you were part of the family. Great food, generous portions except for the lamb chops. 3 for $47 doesn’t cut it. Everything was outstanding! A very enjoyable evening. Will be back. We are frequent patrons and find that each visit is every bit as good as the last. Lovely restaurant w outside dining. Good food. My husband had chicken Milanese and I had seared rare tuna. Both were very good. We spent a beautiful sunny afternoon on the patio. The many menu choices were wonderful. Two of us chose the "famous chicken salad". It absolutely lives up to its reputation. Our meal was leisurely and service was unobtrusive. It made a memorable celebration of friendships for us. Absolutely superb! Have been going to Alexanders for 17 years and have never been disappointed. This time went for lunch and while they have sandwiches we opted to share grilled Calamari for starters after which we both had the Peppercorn Crusted Tuna which was amazing. Must go there for lunch more often! It was our first time there. Our waiter John was very helpful. He recommended a delicious entre. My wine the appetizer etc. Beautiful restaurant. The courtyard was magical. The food and wine were delicious. We ordered the Key Lime pie just to linger at the table but it turned out to be outstanding! Everyone at our table of three was dining at Alexander's for the first time. The restaurant had been recommended to me by a fellow diner when I was at a restaurant in Pennsylvania. We chose to dine outside and loved the ambiance. The menu was varied enough to appeal to everyone's tastes, and we enjoyed our entrees. The only glitch was that person who removed our dishes did not understand my request for a "doggie bag." Alexander's was generous in comping the price of my entree, which was more than I requested or expected. I am sure that we will return. We have been here several times recently and Alexanders never fails us. Everyone treats us like we are special customers. Our favorite place for simple but enticing food dishes and attentive service. The ambience on the patio is amazing!! We had five different entrees and the presentation along with each dish was delicious. The sea bass, filet mignon and parpadelle dish along with the lamb shank were great! Go with a group so you can all share the experience of tasting different things. The wine list was a nice variety. Most of meals were wonderful.. Two had problems.. Steak and Salad lettuce was wilted.. the other was considered a rip off at $33.00. Very small portions for this meal. The outdoor seating makes Alexander’s special. The prices are on the high side, food is average, and service was good. We will return. 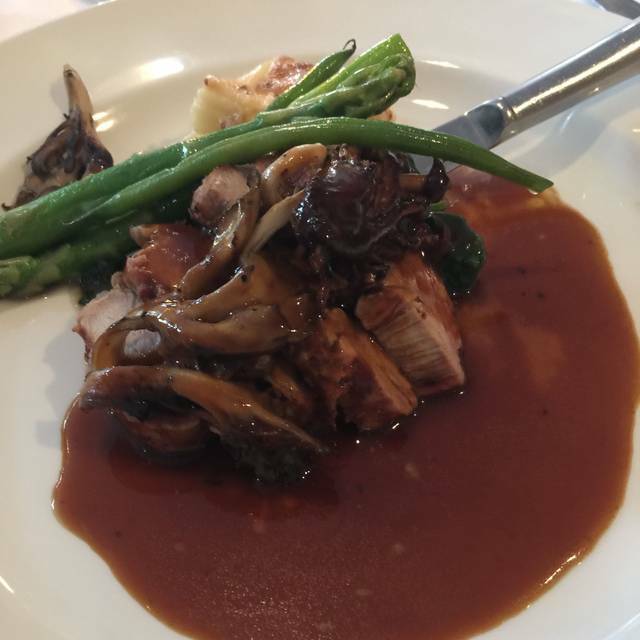 Always superb cuisine, excellent service and lovely surroundings! The price you pay for the level of the cuisine is certainly worth it.Meals such as these could easily cost much more because the quality of the ingredients and the creativity of the chef are both outstanding. We have been there several times in the last two years and each visit we have been served an exceptional meal!Alexander’s is a gem of a restaurant in every way! Important to know: Booking Alexander's on OpenTable means that, by default, you are assigned to a table indoors. The Number One reason to enjoy this very fine restaurant is to dine on their beautiful outdoor courtyard, which represents about 2/3 of the restaurant's seating, (by my guess). So make sure you contact the restaurant directly well in advance if you want to sit outdoors. It's well worth it. Excellent food and service. Fairly priced for the quality of cuisine and service. Undoubtedly, the best place in Naples for a quiet and wonderful dining experience. We had a reservation and were seated promptly. Our waiter was knowledgeable and attentive. There were 4 of us and we each got something different. All were fine, not great, with the exception of the salmon which was not. The sides given with each meal were very small quantities. We took my son and his wife for a celebration dinner and were a bit disappointed in the value for what we got. I’m not sure we would return. Looks like a local favorite- and for good reason! I had a terrible start to my evening at Alexander’s . When we came in, albeit it was a late reservation as my friends were daring me from somewhere and raves about Alexander’s , the girls at the front desk said we could not have an outside table, nor could not seat us in the main dining room. We were seated in the bar, in a corner table (blocking’s an exit door - was that even legal ?) next to 12 people celebrating a birthday . When I asked to have another table one girl said -“well you did make a late reservation!! Ii did make a request for an outside table and do understand first come however she was a bit rude.Our server was so sweet and pleasant as was the bartender who was very personable but the party was noisy ( rightfully so as the honoree was 80) but we were sandwiched in. The servers even had a hard time getting by. So if t you name a late reservation does that mean one has to sit in a corner in the bar???? Disappointed to say the least. (Food and service excellent- don’t want yo take away from the chef and servers-!!! The food was amazing along with the service! We sat inside and was a little noisy due to a very boisterous table behind us! After they left, smooth sailing! We enjoyed and will return! Always be a treat to sit in the courtyard and enjoy a great meal. My husband and I enjoyed a perfect evening recently @ Alexander’s! Our waiter, John, was more than exceptional in guiding us through there extensive & delicious menu. The fresh fish served was superb, as were the accompaniments, lovely wine & delectable dessert. Alexander’s was Wonderful! Monika is portobello was delicious and so healthy! Beautiful setting outside with the Bougainvillea blooming. Couldn’t be better!